“A missile was fired from Gaza. 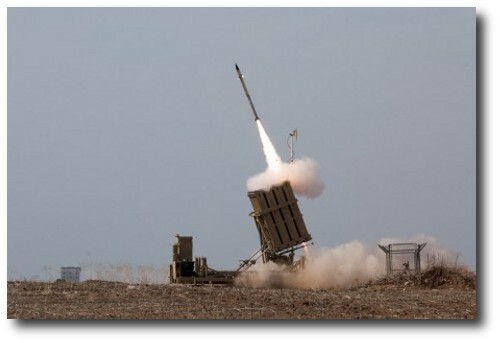 Iron Dome precisely calculated [its trajectory]. We know where these missiles are going to land down to a radius of 200 meters. This particular missile was going to hit either the Azrieli Towers, the Kirya (Israel’s equivalent of the Pentagon) or [a central Tel Aviv railway station]. Hundreds could have died. “We fired the first [interceptor]. It missed. Second [interceptor]. It missed. This is very rare. I was in shock. At this point we had just four seconds until the missile lands. We had already notified emergency services to converge on the target location and had warned of a mass-casualty incident. Also last week, Col. Ofer Winter, commander of the Givati Infantry Brigade, described a mysterious fog that favorably covered he and his troops as they advanced on an enemy position in morning light, after their nighttime raid was postponed.